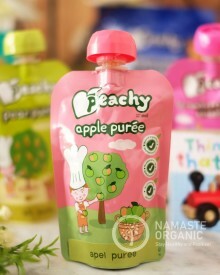 Just pure apple puree made with apples from New Zealand; great for first foods. (for 6 months up). 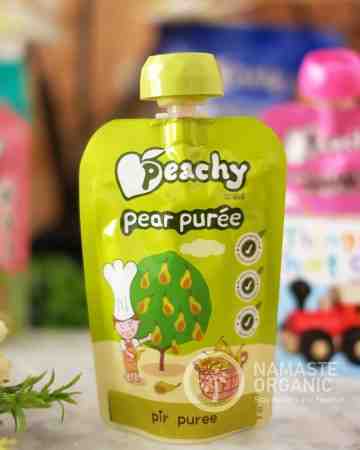 To serve, pour contents of pouch into spoon or dish. To warm contents, stand pouch in hot water for 2-3 minutes. Don't microwave pouch. Pouch can be stored at room temperature. After opening, pouch should be kept in fridge and consumed within 24 hours. Keep cap out of reach of small children. Don't let unattended children feed themselves. If pouch is damaged or unusually swollen don't feed to baby.